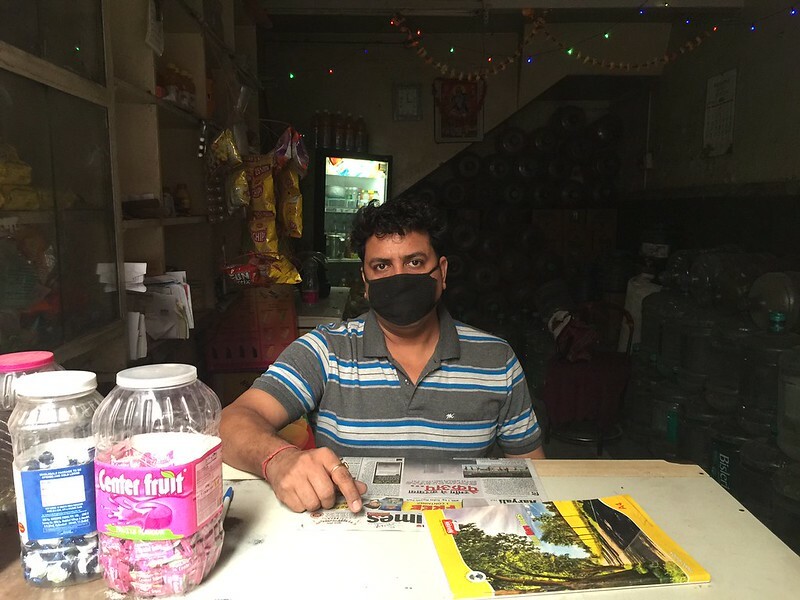 Life in the world’s most polluted city. 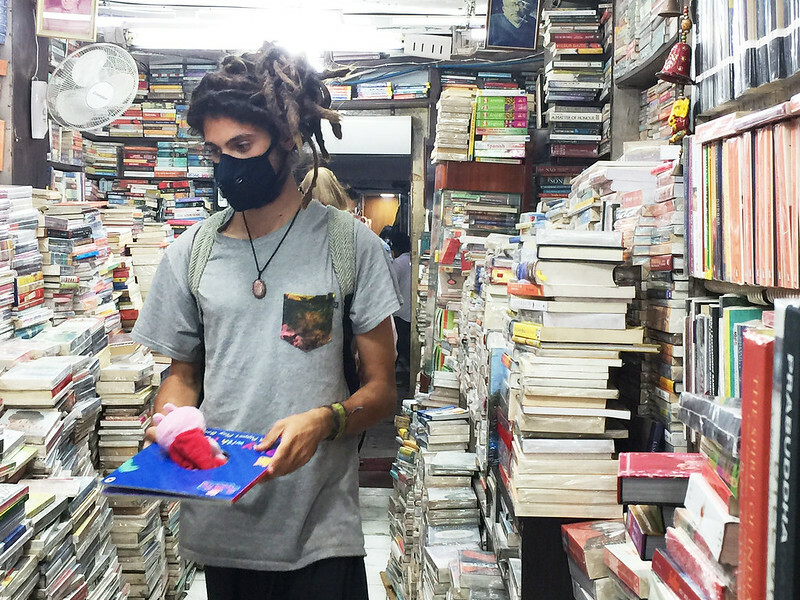 “Fashion in dystopia,” a friend commented while showing The Delhi Walla a photo on her phone of a young woman wearing a mask, the kind one sees in Hollywood movies when the bad guys lob a smoke bomb in a hostage situation and the good guys smartly put on their masks and save everyone before viewers can draw a tense breath. Well, someone lobbed a smoke bomb—or a smog bomb, or a dust bomb, or… whatchamacallit—at the National Capital Region during a recent weekend, and viewers are still waiting for the good guys to rush in. The bad guys—whoever “they” are—got us by the lungs. We are the hostages. And this movie didn’t end after 2 hours. 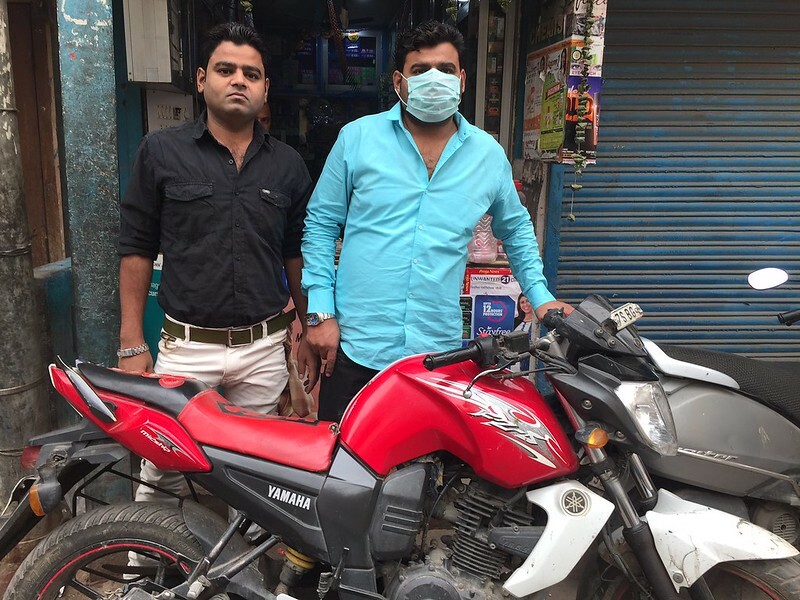 The one-percenters of the nation’s dynamic capital may be able to roll up the windows and shut out everything from poverty to chikungunya, but the thick blanket of pollution proved to be a great leveller—nobody could escape it. Even the short walk from the parking lot to the nightclub left people gasping in disbelief. “How does this happen?” a few asked within my hearing range. “So how many kilos of crackers did you burn?” I wanted to ask them. Truth be told, some of the bad guys are among us—all those who merrily burn festive fire-crackers for days, not hours, or leave the construction material for their building activities out in the open, or refuse to use any public transport ever. 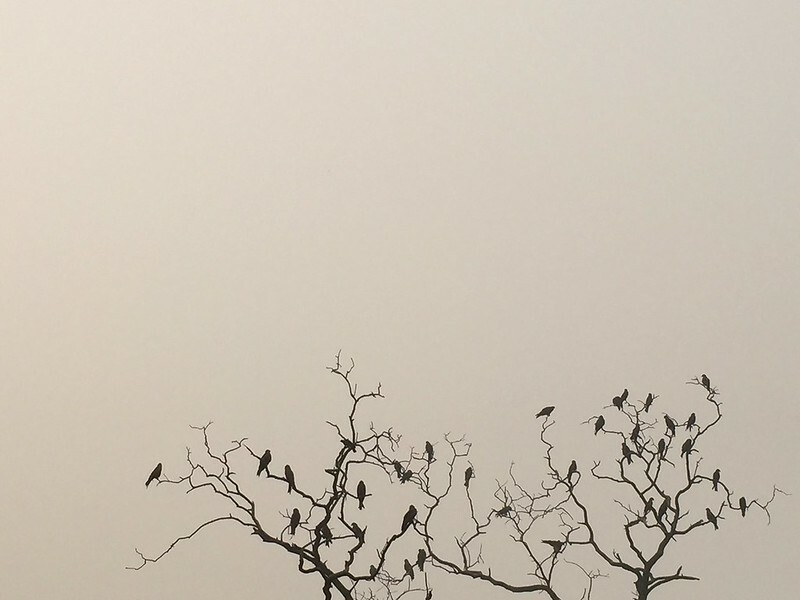 All of them are in part responsible for the post-Diwali blanket of acrid, toxic, noxious smog. No point in just blaming crop burning in other states. You know it’s not business as usual when the pollution in Delhi knocks off the US presidential election as the top-of-the-page story. This was the moment when the restaurant chain Smoke House Deli was reduced to a page 1 pun by the Sunday edition of The Times Of India. 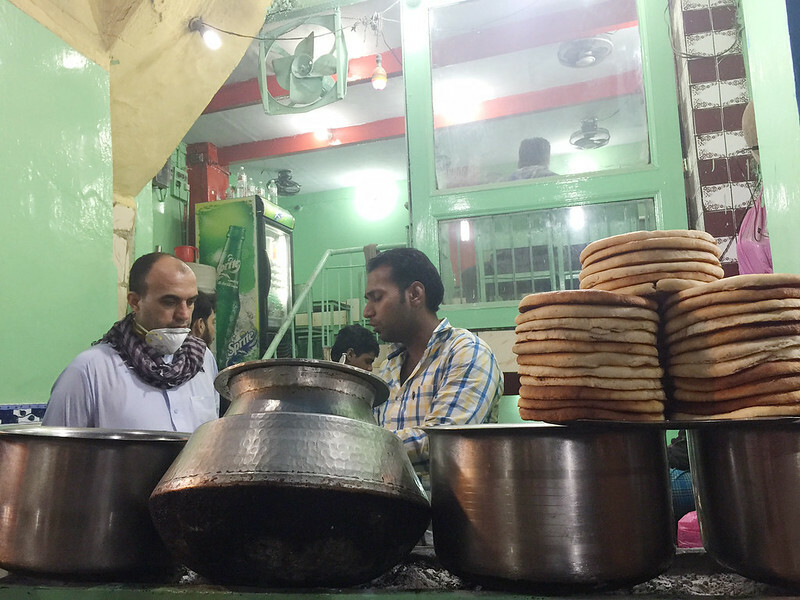 “Breathless in smoke house Delhi as grey shroud triggers health issues”—ran the headline. That same morning, I woke up with a head that felt like it was in a duel with boxer Vijender Singh. Had I lost my 20/20 vision? My room looked blurry, as if cloaked in mist. I quickly opened the window and the room filled immediately with the vicious smell of smoke. My throat went dry. As a writer, blogger and a photographer, I yearn to experience first-hand how news events affect ordinary people. And now, at long last, I could count myself among the hapless sufferers the news media were referencing. Feeling like a war reporter in a bulletproof vest, I set off into the familiar neighbourhoods and by-lanes of my city. 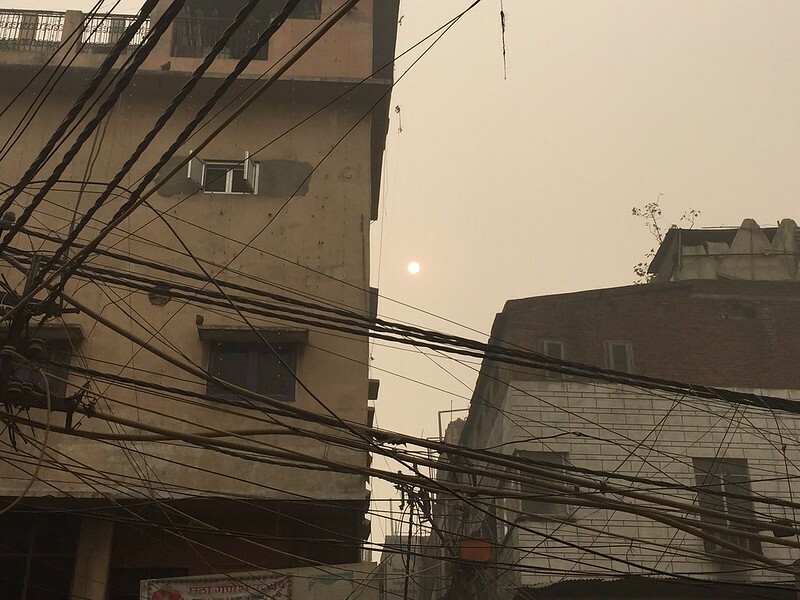 It soon became clear that something unprecedented was taking place in the notorious metropolis, which competes with Beijing for the dishonour of the title of “the world’s most polluted city”. You might argue that Diwali smoke is an annoyance at this time every year, so is the burning of stubble by farmers in neighbouring Punjab. The looming winter worsens the situation. 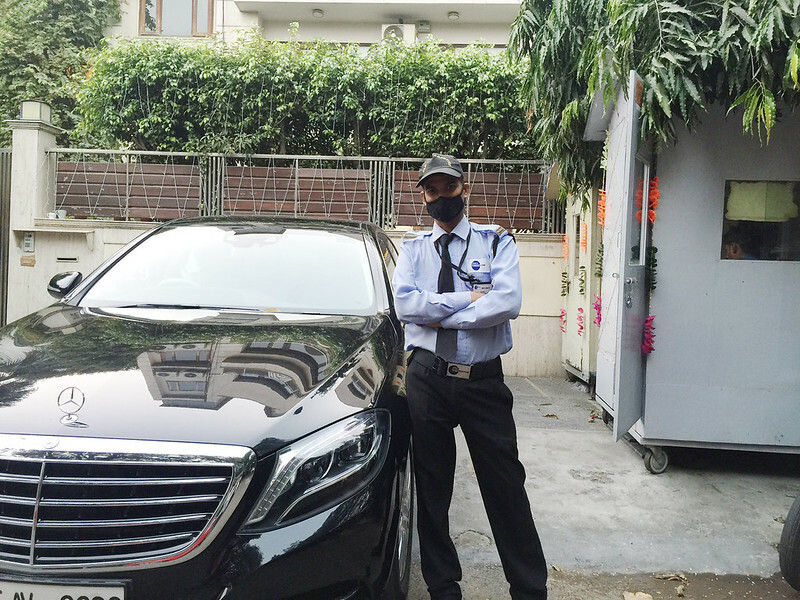 This season, however, when PM 2.5, an air quality measure used by the Central Pollution Control Board, hit 999 in the city’s diplomatic enclave, the foul air truly seeped into people’s consciousness. 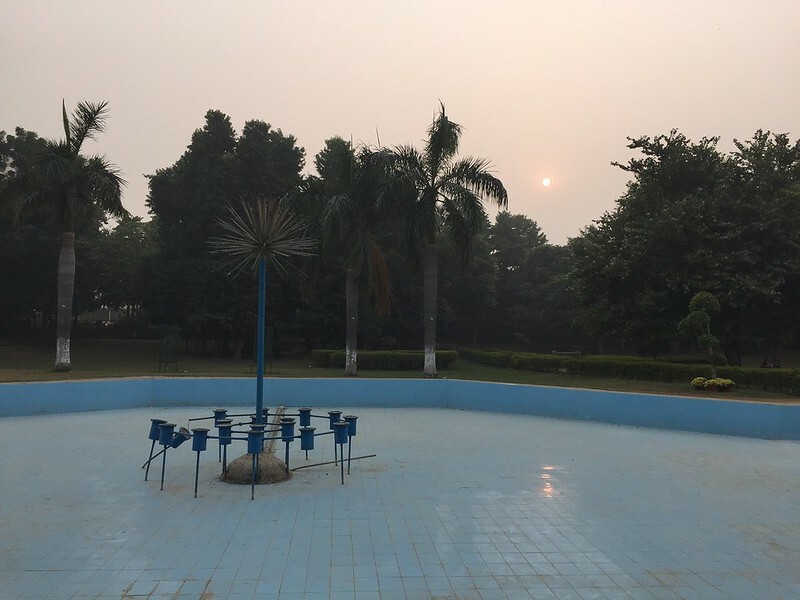 A friend in leafy Gulmohar Park opened her apartment door by welcoming me not with the expected “How are you?” but with “How’s the smoke?” In her drawing room, tastefully done up with Madhubani paintings and Vincent van Gogh reproductions, I saw the air purifier for the first time—it was white and emitted a constant humming sound that vaguely comforted with the assurance that the bad air couldn’t get to us. 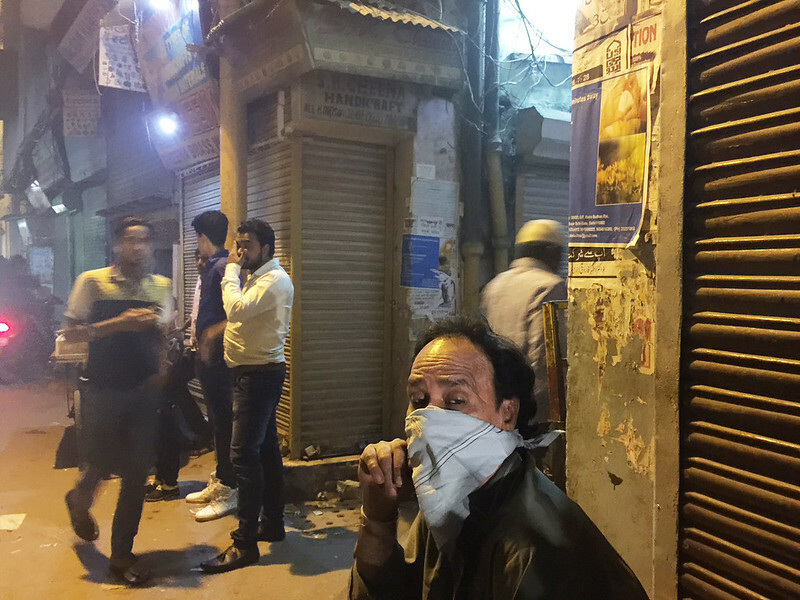 Later, I headed to Old Delhi’s garbage-strewn by-lanes—where rats, cats and flies appear to be in harmony with the area’s human ecology. This time, however, even these hardy people had surrendered. 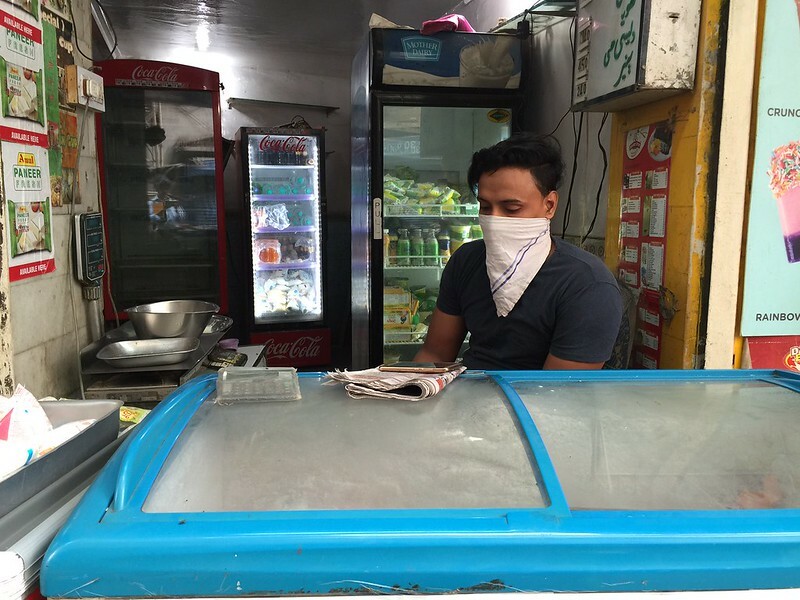 The grocer at the Kisan Doodh Bhawan in the Turkman Gate bazaar was sitting with his face hidden behind a handkerchief. “It’s like somebody has thrown red chillies into my eyes,” he spluttered. 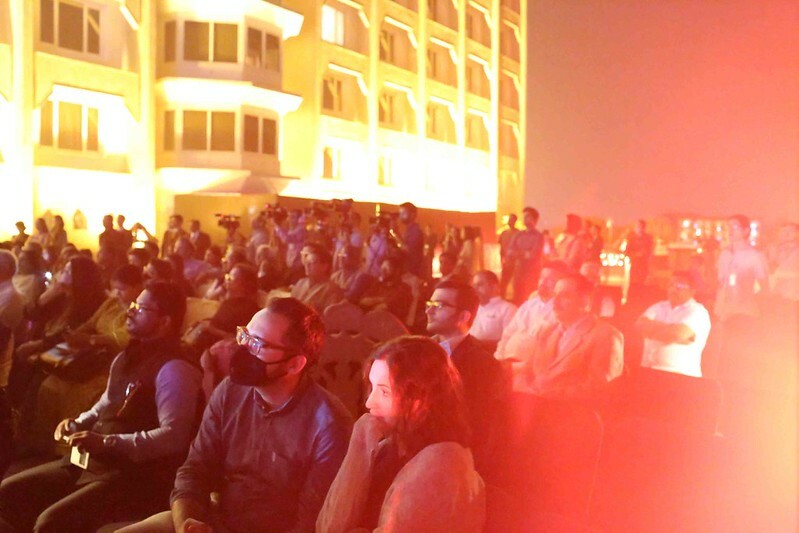 Haji Hotel, whose long balcony frames a panoramic view of the Jama Masjid, was the most arresting sight. 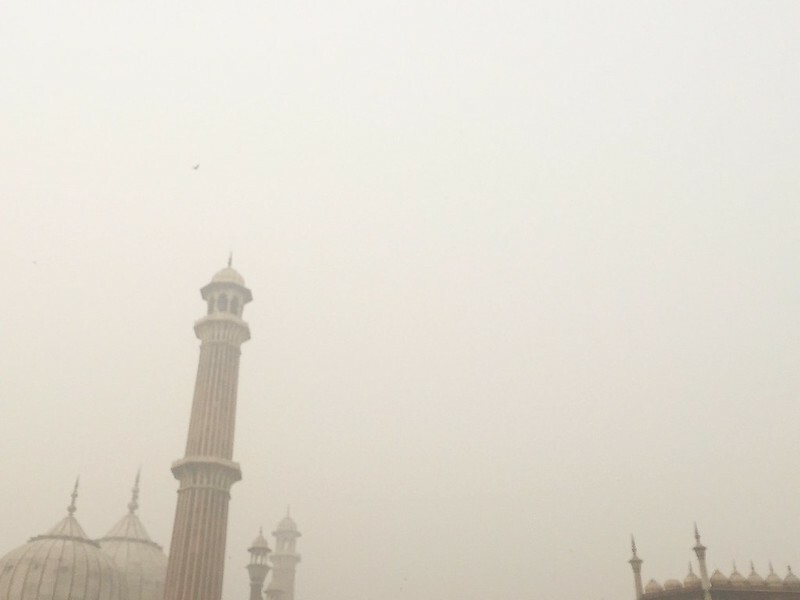 It was hard to discern whether the grand Mughal-era mosque was a real edifice or simply a hazy mirage in a desert of pollution. Only parts of the minaret were visible. The usually ever-present pigeons were notable by their absence. 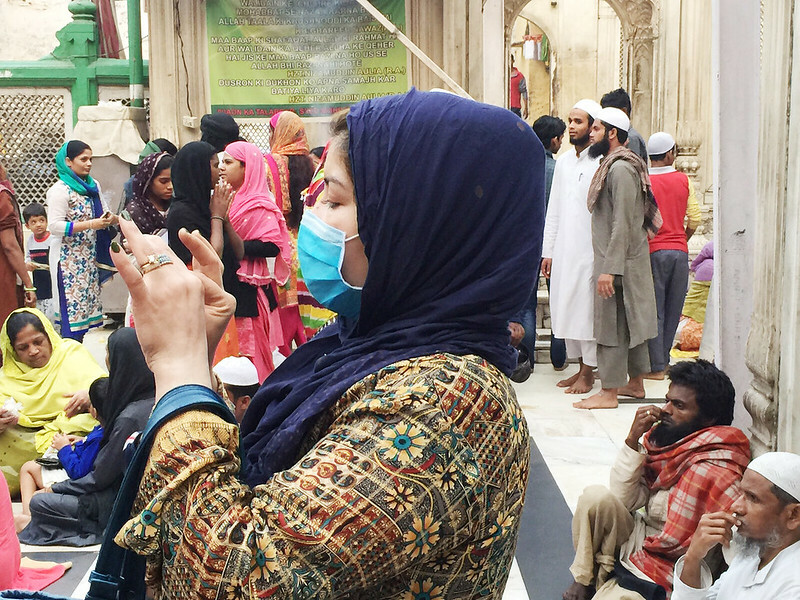 Ameer Dehlavi, the hotel manager and an Urdu poet, mused on how shy and nervous his beloved masjid was looking—“almost like a newly-wed bride anticipating the first night with her husband”. 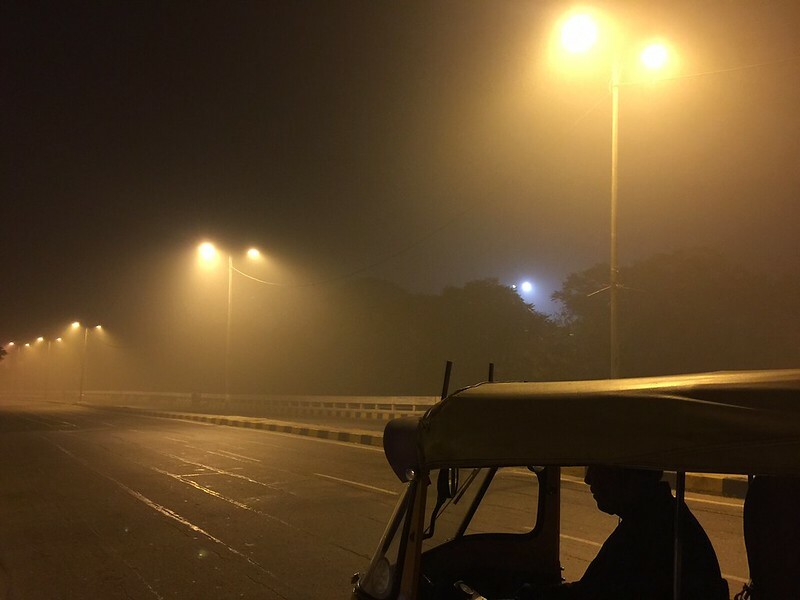 He wondered what couplet the great Mirza Ghalib might have conjured out of smog if he were alive. 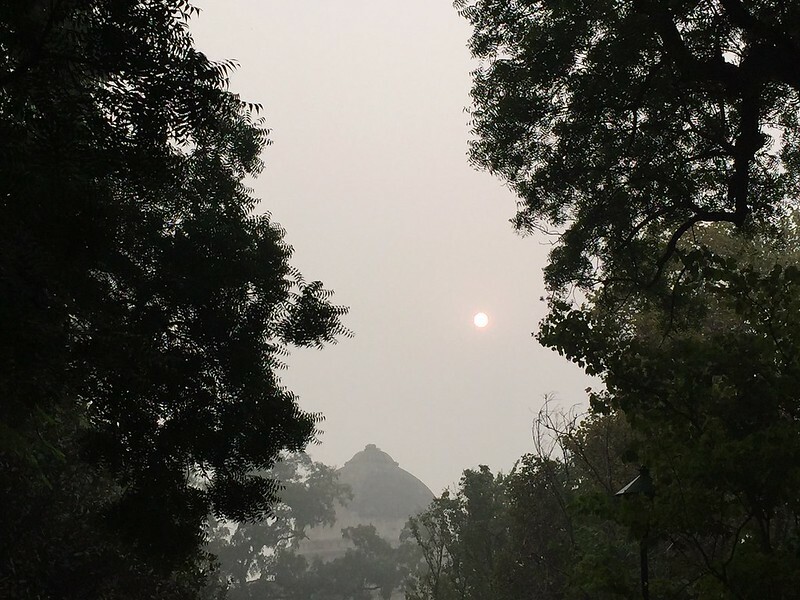 Thank heavens for literature—it sees illumination even in pollution. 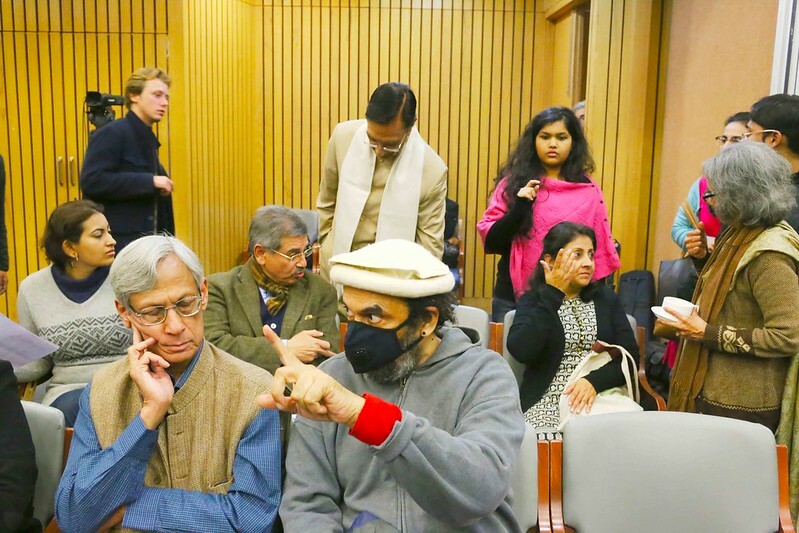 In spite of the best efforts of Delhi’s killer air, there are a few poets who are still managing to breathe in the city. 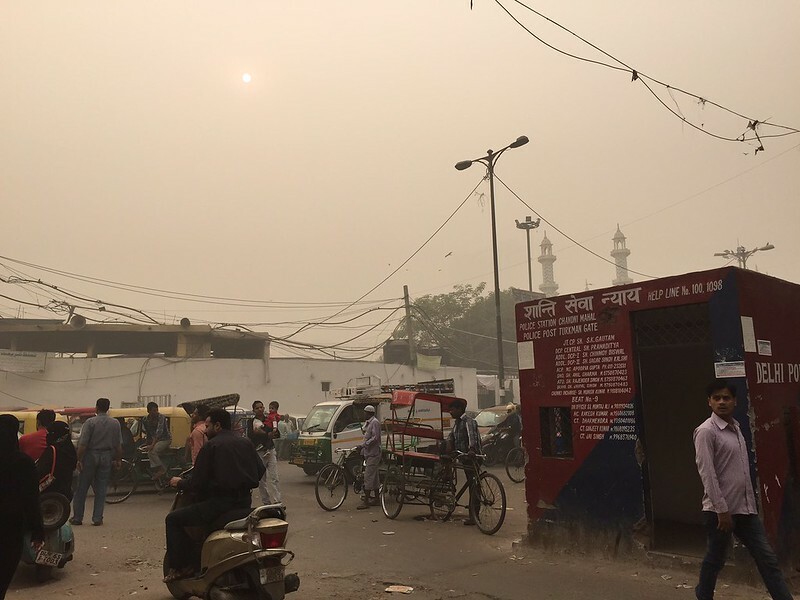 While most of my friends were talking about trading Delhi for more “livable cities”, where you make the decision on whether you want to smoke 40 cigarettes a day, poet Jhilmil Breckenridge creatively exploited the catastrophe. She composed a poem about the dust-covered wasteland she could view from her bedroom window. 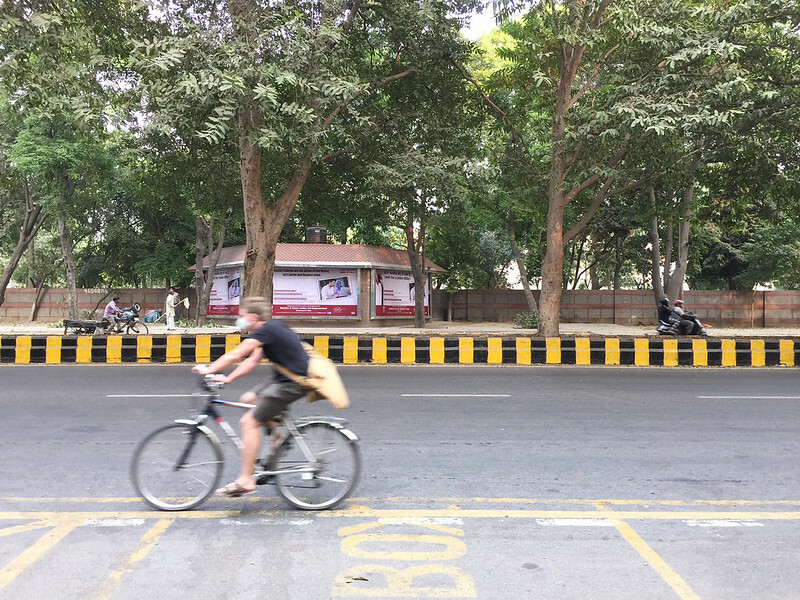 Breckenridge’s poem, Firecracker, composed the day after Diwali, garnered not only “likes” but also tearful emoticons on Facebook. 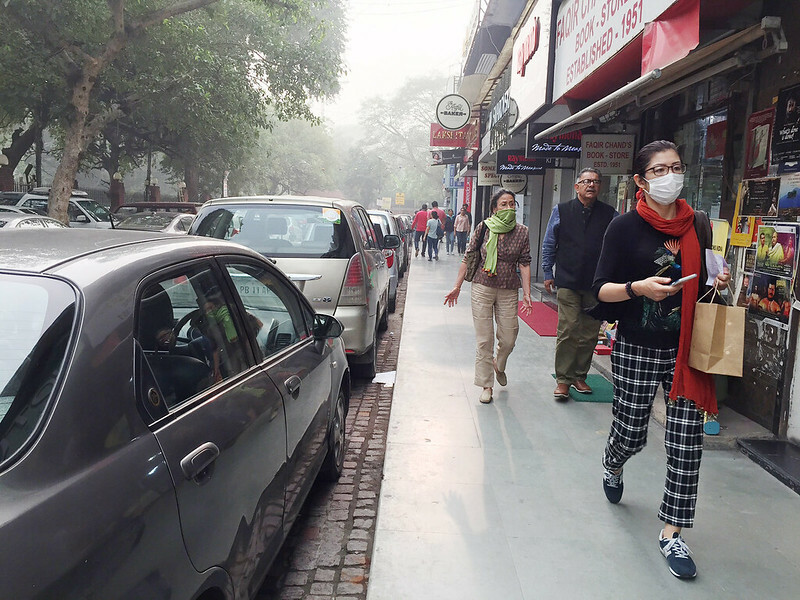 Perhaps inspired by her verse, I ventured out to overpriced Khan Market to buy an overpriced anti-pollution mask. 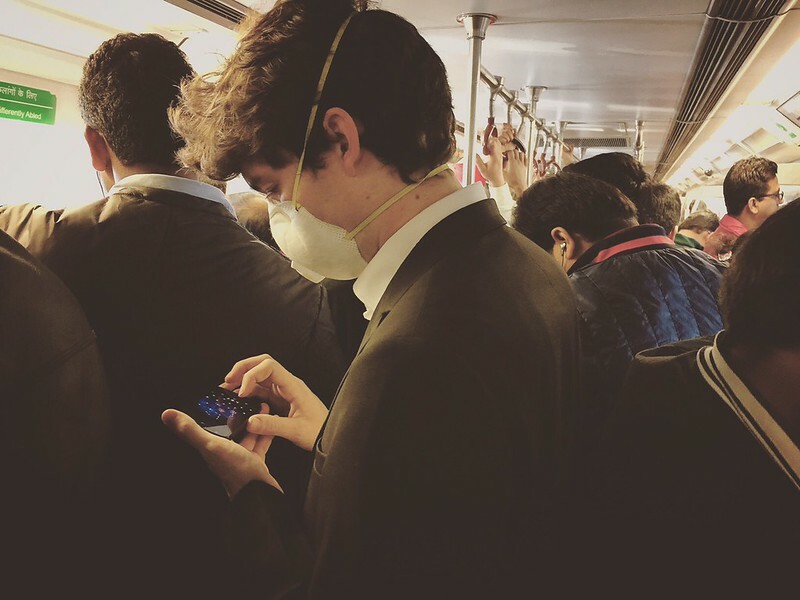 It was as if I had landed in the middle of a SARS outbreak—a number of masked shoppers could be seen in the fashionable Front Lane. 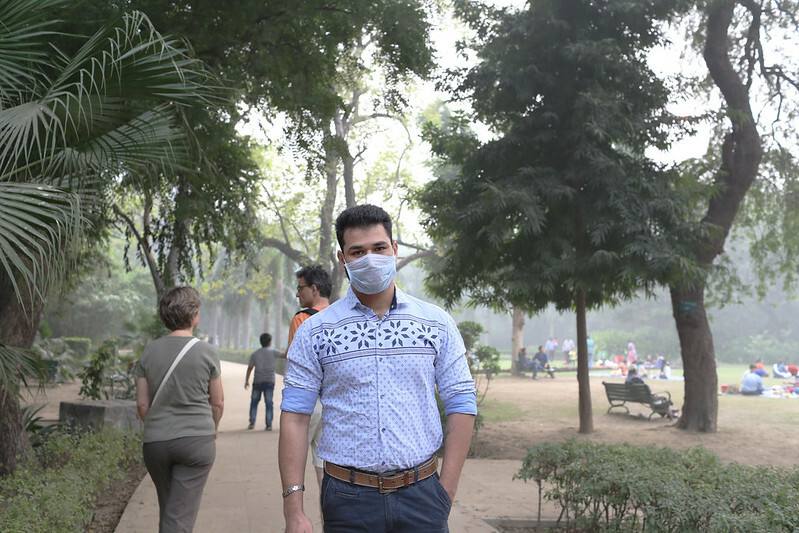 No one had to give me directions to Vogmask, a California-based company that claims to provide “superior protection from PM 2.5 particles, dust, pollen, and other air-borne contaminants”. The long line outside the outlet told me I had arrived at my destination. The shoppers stood patiently, awaiting their turn. 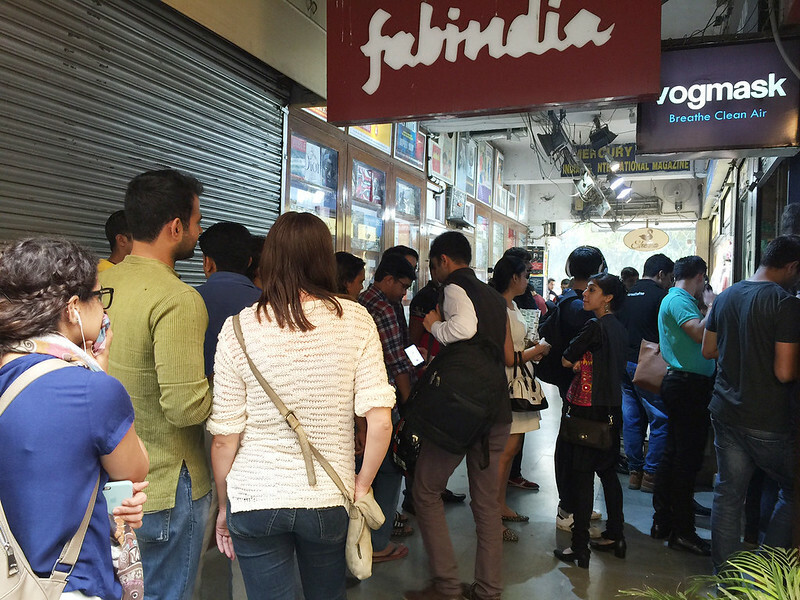 A few bystanders were taking photographs on their smartphones—that day, many pictures of this market were uploaded on social media. 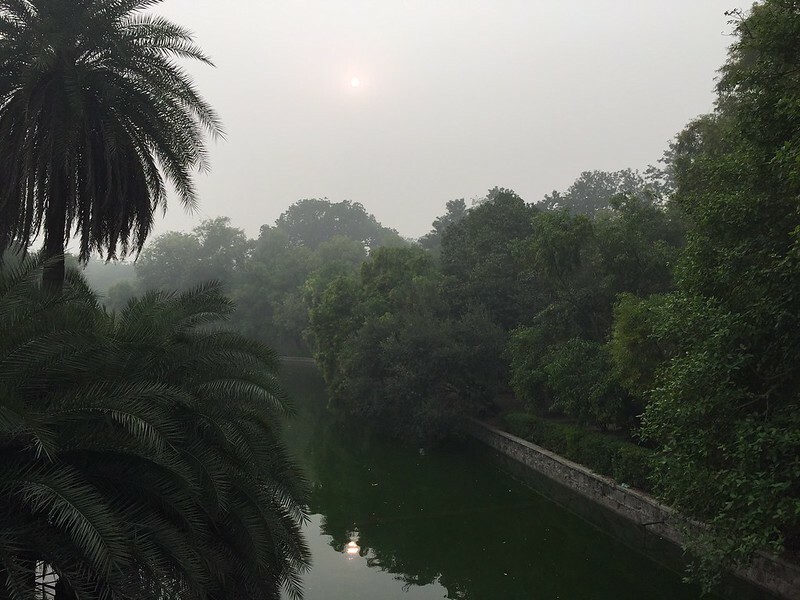 The same apocalyptic scenes were in evidence in nearby Lodhi Gardens—many a weekend picnicker was masked. The sun made feeble attempts to break through the shackles of the haze and shone dully on the pond under an old stone bridge. The top of a completely leafless tree was covered with kites, like wall stencil art you might order online for your drawing room (see last photo below). Meanwhile, two lovers discreetly stationed behind a tree risked everything to remain unprotected—not a mask in sight. Romance gave them oxygen. My day ended in upscale Nizamuddin East. The path leading through Gate No.6 was totally empty. The bungalow windows were closed and curtained. The guard cabins had no guards. It was a ghost town. 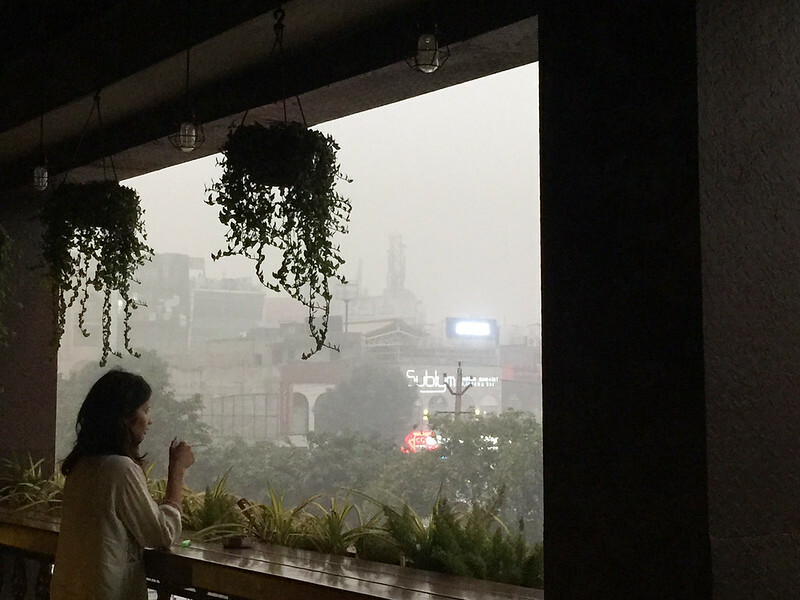 In her park-facing apartment, author Sadia Dehlvi opened the balcony door, looked out gingerly at the yellow-white mist glowing around the streetlights, and immediately closed the door. “I haven’t left the house for three days,” she declared. 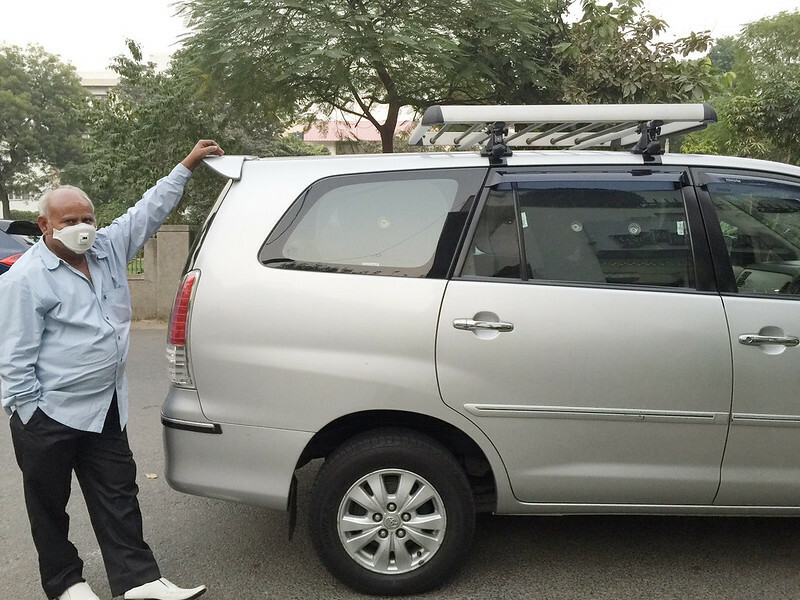 Her long-time cook, Muhammed Sabir, was making shalgam gosht in the kitchen. 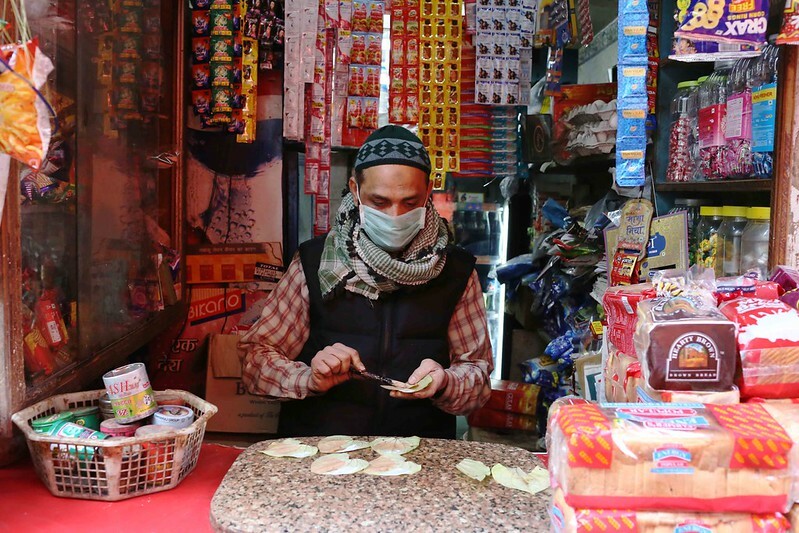 His face was covered with a handkerchief (see photo 10 below). The next morning, in the GB Road red-light area, I came across an old, crumbling wall. It was painted blue. I took a photo and uploaded it on my Instagram feed with hashtags—#blue #sky #delhi #pollution. It has been love-hearted 78 times. On that grey-brown weekend, even a humble sliver of blue was a sight for sore eyes.